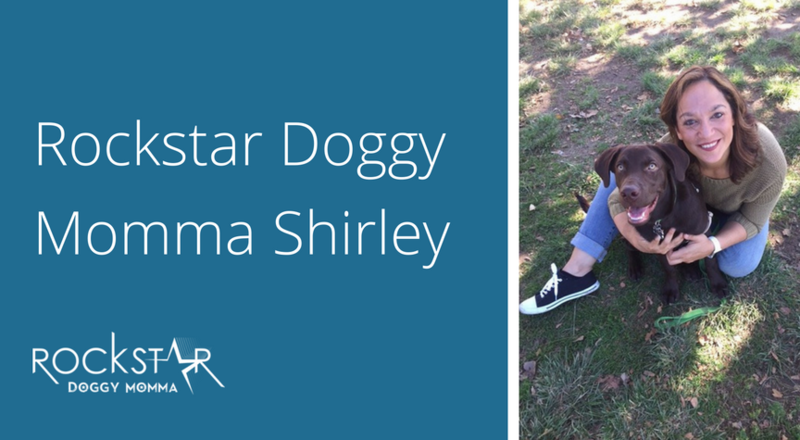 This month’s Rockstar Doggy Momma is Shirley! Here’s her story how getting a puppy from PuppySpot helped her with PTSD and depression. So touching! Tell us the story of how you became a doggy momma! Did something in your life happen that influe nced you to get your doggy? Five years ago I developed PTSD and severe depression. I had a complicated life and there were severe childhood and adult traumas in my past. I started to open up about it to a therapist – one of the most difficult things I’ve ever done – and everything exploded. I had a major breakdown. I couldn’t sleep. I couldn’t eat. I lost almost 200 pounds (I was very over weight). One day I decided to kill myself. While I had the best therapist, that feeling lasted five years. Two major attempts and many hospital stays later, I lost my job and my friends, and my family didn’t know me anymore. My only connection outside my dark place was my therapist. Late last year I had an attempt and it started a significantly long battle and a long hospital stay. My therapist didn’t know what to do with me anymore and during a session with the therapist in the hospital, she suggested getting a service dog. I didn’t want it and I didn’t want the responsibility. If I had a dog I’d have to live. Plus I didn’t feel like I’d make a very good dog mom as broken as I was. But I started researching. Initially, I wanted a rescue if I was going to do it. For months I looked and applied for adoptions. None of the dogs really bonded with me but I was just going with it. Every rejection made me feel worse about myself. One day, on my lunch break, I started looking online on my phone. PuppySpot.com’s puppy listings kept popping up. 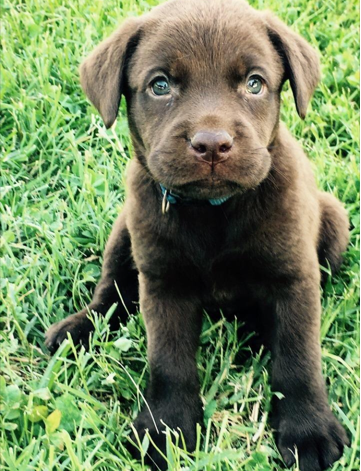 So I looked and came across a tiny adorable chocolate Lab named Dennis. belong together. Before I knew it, Dennis arrived at the airport. I looked at him and named him Chance, because we were giving each other a chance. Ever since, my life has changed. Because of Chance, I have a purpose. I fight. What is the #1 thing you love about being a doggy momma? The way Chance looks at me with his eyes. I can feel his need for me and to be in my life. I am his world and he is mine. He follows me everywhere, to every room. 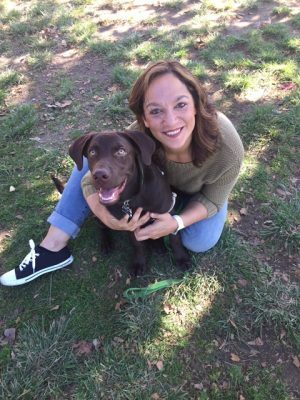 Let’s talk momma/doggy health! What do you do together to stay happy and healthy (how you de-stress together, exercise together, cook, etc.) Chance loves the beach! It’s his favorite! He loves to swim! We also started hiking. It’s our bonding time. What is the biggest gift you have experienced being a doggy momma? My new life. What are your favorite health and/or pet products that you cannot live without? Peanut butter! He loves peanut butter. I take pumpkin, peanut butter and plain yogurt, and add a small handful of kibble. Mix it up. Stuff it in a Kong and stick it in the freezer. It’s his nighttime treat. 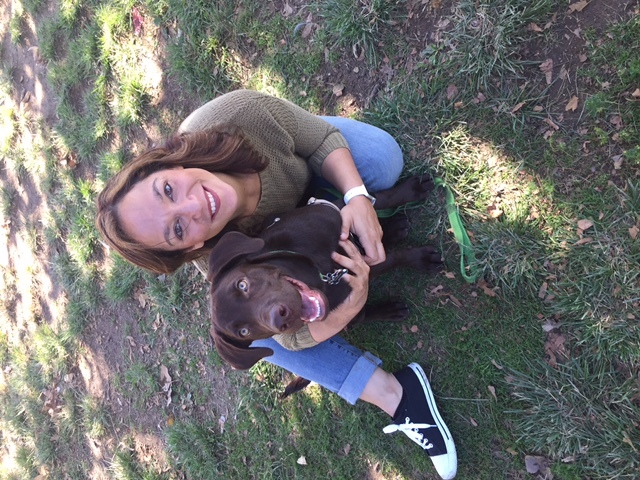 Shirley – you are such a Rockstar Doggy Momma and a true inspiration! Thank you for sharing your story!